... to creative individuals and organisations in Human Actualisation and Personal Development. 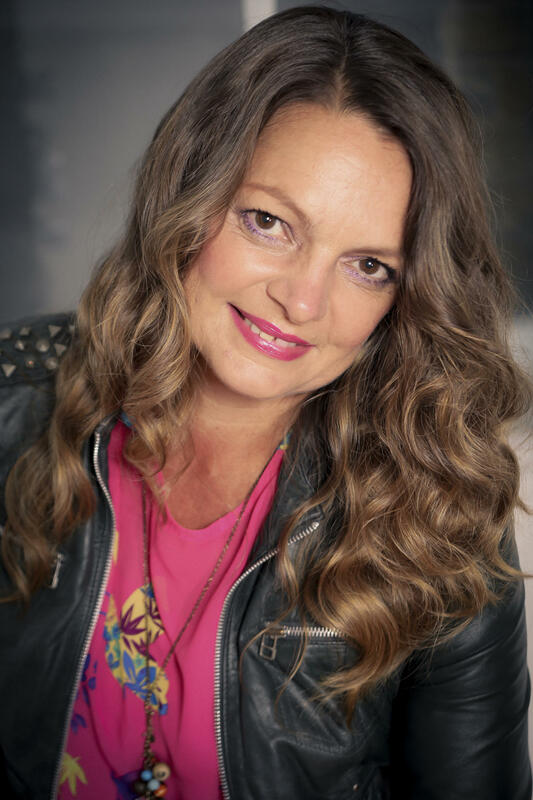 Tamara Donn is an Energy EFT Master Practitioner, trainer and presenter specialising in women’s issues, including; body image, fertility, pregnancy and motherhood. Tamara is also founder of the Birth Art Café – a holistic approach to childbirth preparation through creativity and relaxation. Tamara combines Classic EFT with family constellation style processes to create a powerful synergistic tool. Her passion is to support women in releasing obstacles to radiating their brilliance. Tamara writes: "In this presentation I will be discussing how the flow (or lack of flow) of love from past generations can influence how we experience life and focusing on how this affects our ability to create what we want in our lives. This is an experiential session for both men and women." Photo from the Modern Energy Tapping Foundation training with the GoE's Gulay Gecu, which took place İSTANBUL / TÜRKİYE, 16 April 2019. Please click through to find out about this event and also to contact the organiser about future events. Photo from the Modern Energy Tapping Foundation training with the GoE's Gulay Gecu, which took place İSTANBUL, TÜRKİYE, 13 April 2019. Please click through to find out about this event and also to contact the organiser about future events. Such a great overview of modern energy! A must for beginners and practitioners alike and an inspirational reminder of why we are doing this. It is positively focused, rather than trying to just get rid of distress. As a result it is more playful, creative and fun to do. Photo from the Modern Energy Healer training with the GoE's Wendy Fry, which took place Sutton, Surrey, UK, 13 April 2019. Please click through to find out about this event and also to contact the organiser about future events. I can't recommend the course highly enough, even given the high quality of all the GoE courses. This one is so special!! This course beautifully and succinctly puts together what is possible with energy work, it has enabled me to shine the light in areas of stress I wasn't aware of. Here is a simple spell without any difficult ingredients that will improve the flow of love in a family, heal old wounds in a family, and bring about better harmony and unity in a family. With video how to. This course was priceless to me and everyone should go through it. I learned tons about how energy and lack there of really does affect us. Photo from the Modern Energy Tapping Foundation training with the GoE's Jacqueline Besseling, which took place Rotterdamseweg, 272 2628, Netherlands, 23 March 2019. Please click through to find out about this event and also to contact the organiser about future events. I liked it very much. It gives new ways to understand energy body and mind, and how important it is to raise energy. We have now SOLD OUT all places for the next Energist Trainer Training, hosted in Istanbul Turkey, in April 2019. However we have a waiting list should this change. Please contact Cumasiye, our Turkish Member Support Manager, to register your interest. Alternatively please see details on our UK course. The GoE is running two trainer courses this year. The first is in Istanbul, Turkey (April 2019) and the second is in Eastbourne, UK (June 2019). The UK Trainer Training currently has spaces available. This course was an excellent refresher for me. It helps to get back to the basics especially when explaining Modern Energy to people new to it. This course has opened my mind to find the answer why despite many efforts and applying various healing methods situations do not change permanently. Raising the energy average is the solution. This course is a good overview of several of Silvia's key techniques, as well as giving a beginner thinking and work that they can begin immediately. It will be of great benefit to all.